In a few easy steps, you can make a big difference for local wildlife! Entice pollinators, like hummingbirds and butterflies, by transforming your outdoor space into a sanctuary enjoyed by humans and animals alike. It all starts with the end in mind by creating a plan for the space that you will transform. Not just for backyards, Gardening For Wildlife is possible anywhere that you live, learn, play, work, and worship. 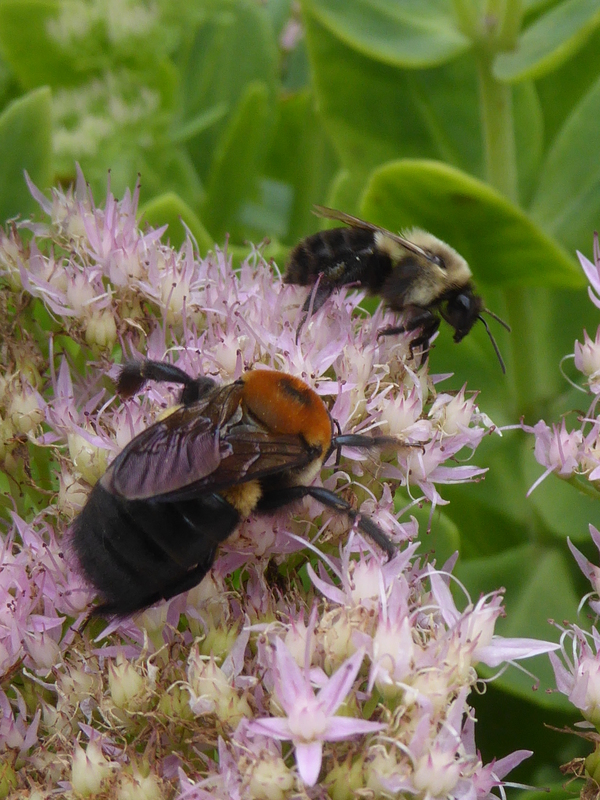 * Plant a simple garden with native flowers that provide nectar for pollinators. * Create a balcony garden with a variety of flowerpots to hold flowers and herbs. * Transform a mowed grassy area into a milkweed patch with native grasses. * Plant native trees and shrubs that produce berries and seeds to attract a variety of birds and wildlife. With less than twenty percent of unclaimed space available, New Jersey is running out of land and is projected to be the first state in our nation to reach build out. This means that all land has been accounted for as protected or already developed. Human centered land use, such as shopping malls and housing developments, greatly reduce habitat for native wildlife. This is where you come in – by becoming a steward of your property and joining a nationwide movement of over 217,000 gardens! Gardening for Wildlife is conducted through a partnership between New Jersey Audubon and the National Wildlife Federation. The program provides official recognition for properties that meet five key elements necessary for wildlife: food, water, cover, places for wildlife to raise young, and using wildlife-friendly landscaping practices. These properties are then recognized as Certified Wildlife Habitats™. Why is Gardening for Wildlife Important? Help Yourself: Gardening is one of the most common ways people interact with nature. There is increasing awareness among researchers and health practitioners that gardening, and simply spending time outdoors, can reduce stress, improve psychological and physical well-being and create a sense of community. Wildlife will know to come back to your yard during migratory times which will allow you to learn how to identify your visitors by sight and sound. You will get to know more about a species over the years and maybe even learn to identify some individuals that frequent your garden every season. 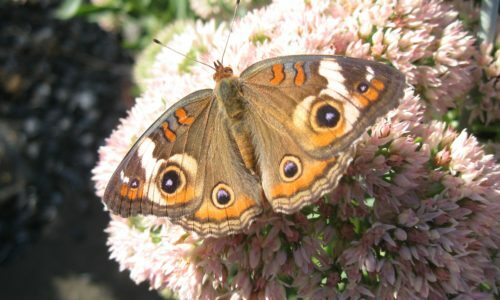 Help the Environment: Gardening with native plants helps reduce the spread of non-native invasive species, reduces the need for and use of pesticides and herbicides which negatively affect pollinators and water quality, reduces the amount of water used and reduces the amount of mowing required. Every Certified Wildlife Habitat (i.e., your new garden!) is a step toward replenishing resources for wildlife locally and along their migratory journey. 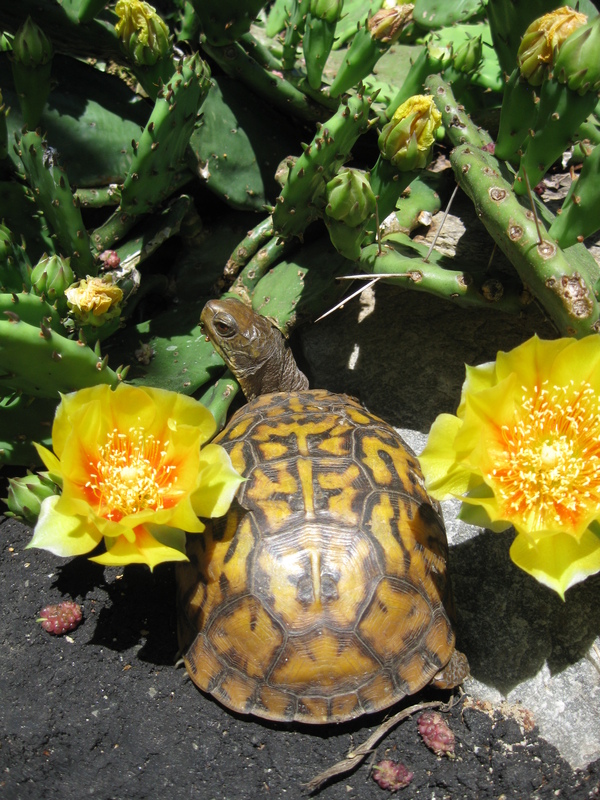 Becoming certified is easy, fun, and makes a big difference to our small wildlife neighbors. 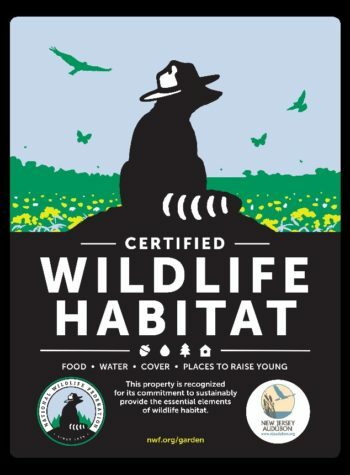 There are currently over 6,821 Certified Wildlife Habitats in the state of New Jersey and the list keeps growing! Will you grow with us? Five Key Elements: Food, Water, Cover, Places to Raise Young, & Using Sustainable (Wildlife-friendly) Practices. 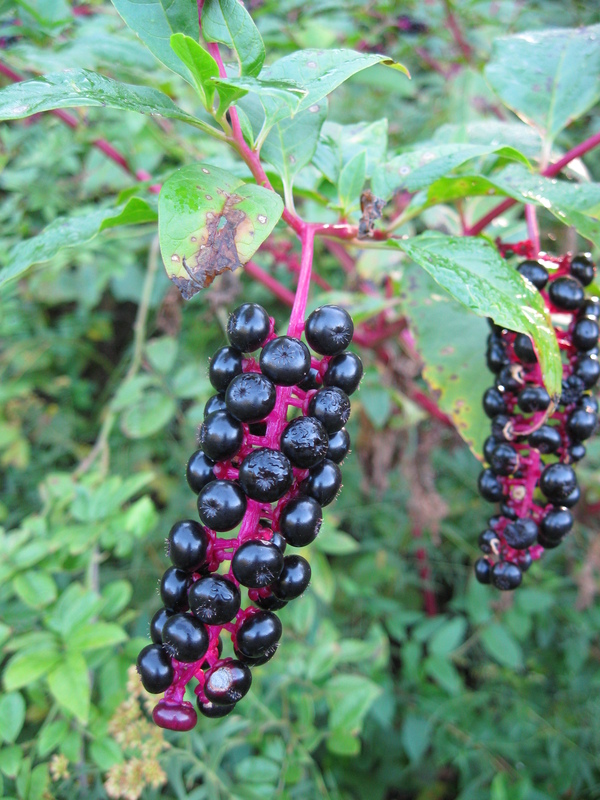 Food: Plant native trees, shrubs and other vegetation that produce flowers, seeds, berries, cones and nuts. Keep in mind that throughout their lives, some wildlife will change their diet depending on their life stage so plant accordingly. For example, many caterpillars eat only leaves while their adult form, the butterfly or moth, sip on nectar. Planting natives for all life stages is crucial to survival. Water: Splish, splash, birds enjoy taking a bath! But water is needed for more than just cleanliness. Butterflies will drink from puddles so if you only have a small balcony, put out a shallow lid and fill daily with water. Frogs and toads lay eggs in water as do dragonflies and damselflies. Consider putting in a small pond for these animals. Cover: Although wildlife live outside, they too need “inside” spaces for survival. A shelter from the rain or a tree hole to keep warm. A space to hide from predators or a blind used while hunting. Creating cover for animals can be as simple as leaving a dead tree on the ground for salamanders to live underneath, creating a rockpile for animals to hide or building a bat box to house resident mosquito eaters. Places to Raise Young: Maintaining or creating safe spaces for young animals is essential for survival of a species. Create shrub thickets to protect fledgling birds from cats (oh and keep cats indoors please!) and other predators. Put up bird boxes for those cavity nesters that visit your yard. Have a small space? Plant parsley in a pot so that Black Swallowtail caterpillars have something to eat once their eggs hatch. Sustainable Wildlife-friendly Practices: Garden sustainably for everyone and everything involved. Keep cats indoors, compost leftover vegetable and fruit matter, and reduce or eliminate the use of chemicals on your lawn. Don’t just keep all the fun to yourself! Encourage friends, family members, and neighbors to get gardening for wildlife and ask them to get their properties to be Certified Wildlife Habitats as well! What plant species are already present? What wildlife species are already present? What can you plant to better support them? What wildlife species would you like to see? By participating in this nationwide program, you are creating a profound difference for native pollinators, wildlife and the environment. 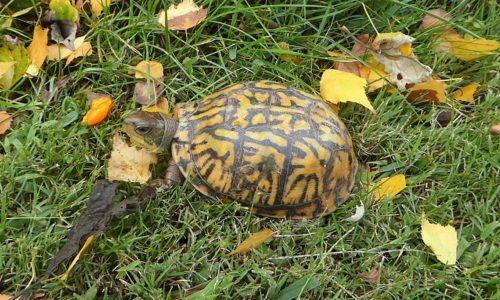 In just a few days, your habitat will come alive with songbirds singing from your birdfeeder, hummingbirds sipping nectar, monarchs laying eggs on milkweed, a box turtle soaking up some sun, and so much more! Are you interested in expanding Wildlife Certification to your community, school, or place of worship? The National Wildlife Federation offers a range of programs to help you get started! Choose from the links below to find out more about participating in these programs. 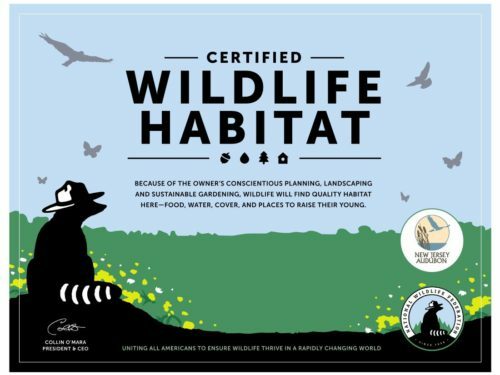 Registered communities are working toward certification and with community engagement, will eventually join the over 200 certified Community Wildlife Habitats across the United States of America. If you live in the following communities, please reach out and join the movement to obtain this exciting certification!